Sai is finally back in Kano! Since Kano is in the West Blue, it means somehow Sai managed to leave the Grand Line. The name Uholicia is based on the common female suffix -licia (Felicia, etc.) 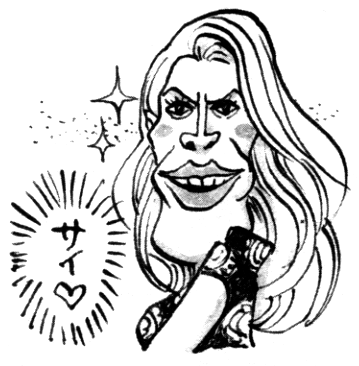 but replaced with Uho, the Japanese onomatopoeia for a Gorilla’s grunt. She’s also the leader of the Niho fleet, which is in turn a pun on hers and Sai’s marriage (Happo – 8, Niho – 2, 8 + 2 = 10). 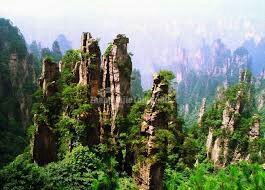 much more than a Korean one and the same applies to the servant/aide/minister from chapter 823, not to mention that the rock spires surrounding the kingdom are reminiscent of the famous spiked peaks of China. The architecture could be any of the two really, but the large building is more reminiscent of Chinese temples than Korean ones. To me Kano seems like a bit of a mixture between the two cultures, but let’s see if Oda shows us more of it in the future. And hey, you can see Chinjao with his twisted drill in the corner! Is he ever gonna get that fixed? 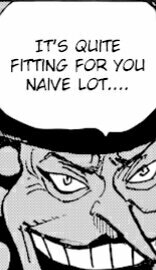 Perospero makes a pun here, since in Japanese calling someone sweet (amai) can be intended as them being naive. I’ll tell you this much, at least Perospero sure has courage to be so close to mama in this case. Big Mom’s attack is so strong even the Sunny trembles! 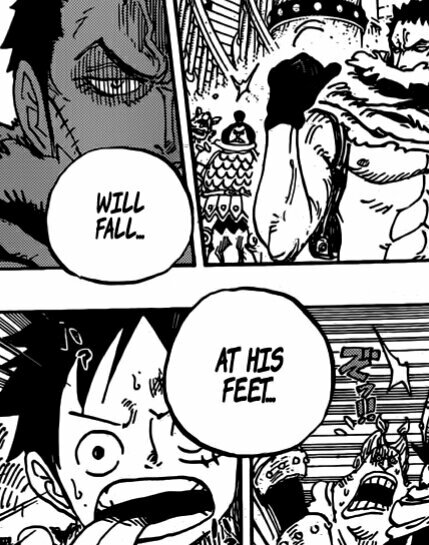 I love this juxtaposition, Katakuri claims Luffy is a monster, but Luffy’s panel depicts him derpily with his tongue sticking out. Classic Oda! 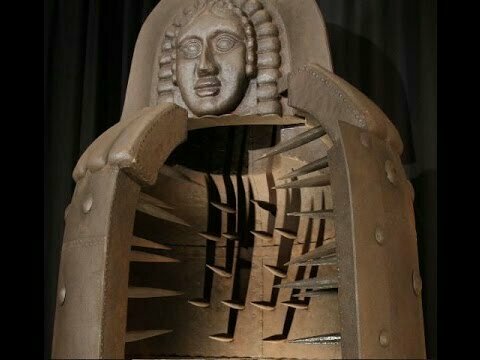 Candy Maiden is obviously based on the torture machine, the iron maiden, a big metal cage with spikes made to encase victims like a sarcophagus. The nails would specifically avoid most vital spots, making the death long and painful. That said, contrary to popular belief, the iron maiden was never intended as an instrument of torture according to the majority of historians, but was instead used for exhibition as a work of art in torture museums. But look at it’s size! 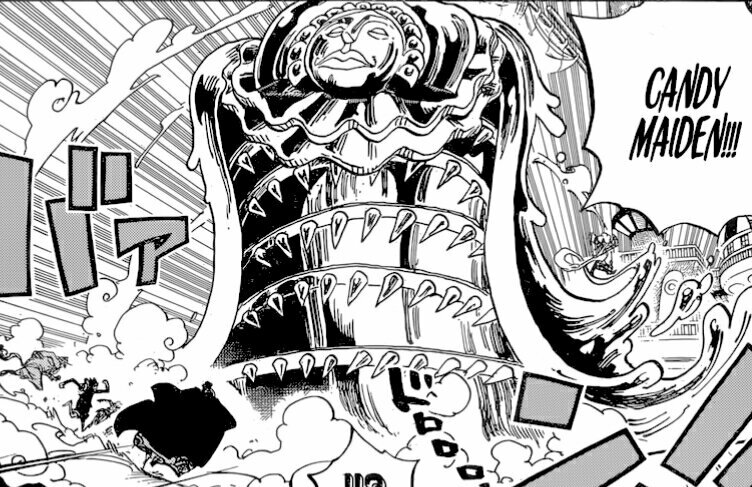 It’s easily 5 times taller than Jinbe, making it a whooping 10-15m tall!! And hey, in the background, you can see Perospero crafting it with his cane! 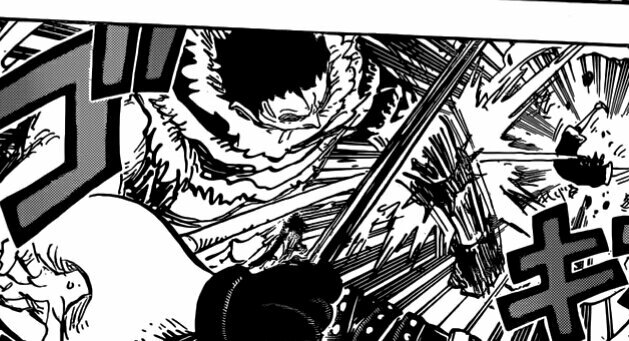 Wait… did Katakuri just… show immunity to a haki punch?!!! Is this a mistake? Red Hawk is a haki-imbued attack after all. Actually… I’d say this might be Haki immunity after all. 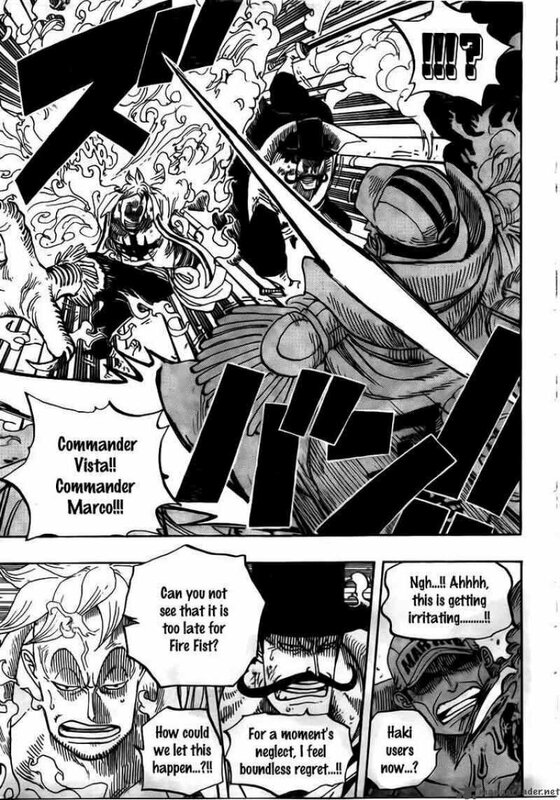 Hear me out: this is something we haven seen before: in chapter 574, we saw Marco and Vista cut through Akainu’s jaw, using Haki, but it reformed afterwards with no problem. The same could be applied to Aokiji and Kizaru tanking other attacks in Marineford from Whitebeard and such. 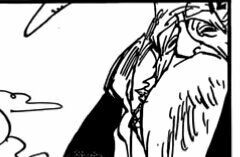 Could it be that only the strongest logia/logia-like users in the world have developed an immunity to haki? Is this what Oda means by “Special Paramecia”? After all, this wouldn’t be the first time Oda introduced something like this early on (for example, Awakening, etc.). Did… did Pedro just tease the Dawn again?!! This is big!! And it all aligns perfectly with my research! You see, I had already predicted that the Dawn was not just Pedro’s belief, but a legend handed down by the Mink clan. The reason for that is that Pedro wasn’t the first to mention it, but instead it was… Nekomamushi! This led me to believe as such, that it is something passed down by the Kozuki clan to the minks, which was right! I’ll expand more on it in The True History, so please look forward to that! 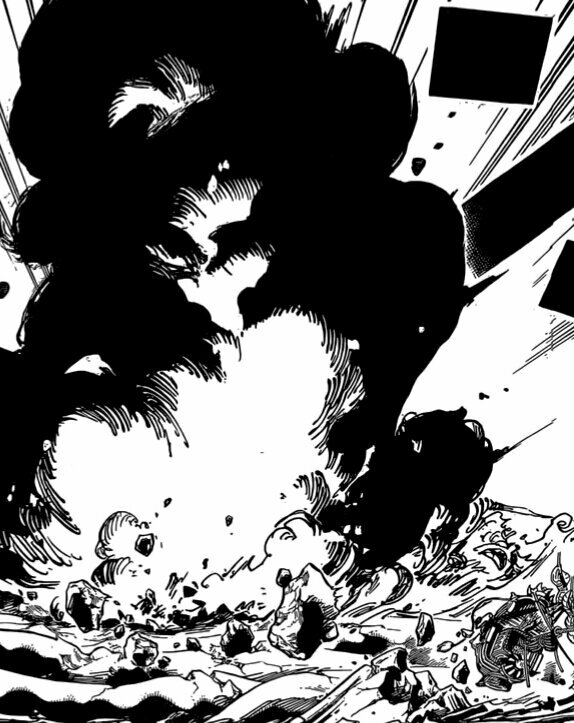 But hey, one final detail: you can see Big Mom being blown away by the blast! 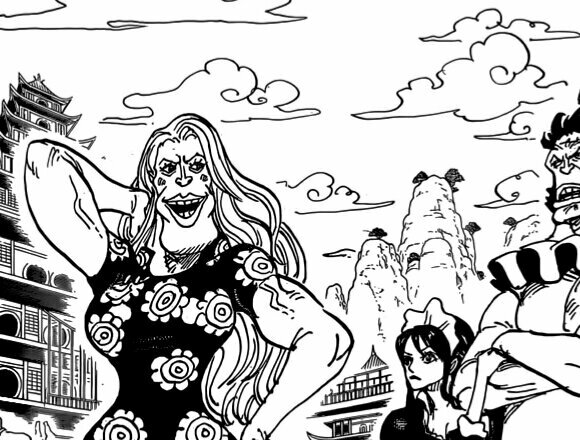 And what a blast too I might add, it towers over Big Mom! > Break next week But hey, I’ll try to publish something during the break to alleviate the pain. And hopefully with a new computer. See you then! Its not haki immunity! im really surprised you and everyone seem to be so confused about this. especially you though haha. 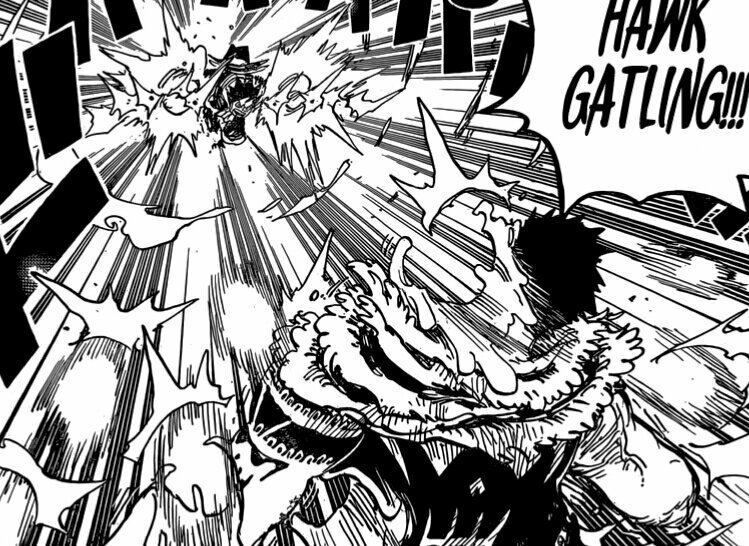 it comes down to Luffys haki vs HIS haki, his haki Is stronger so it doesn’t hit his true form. 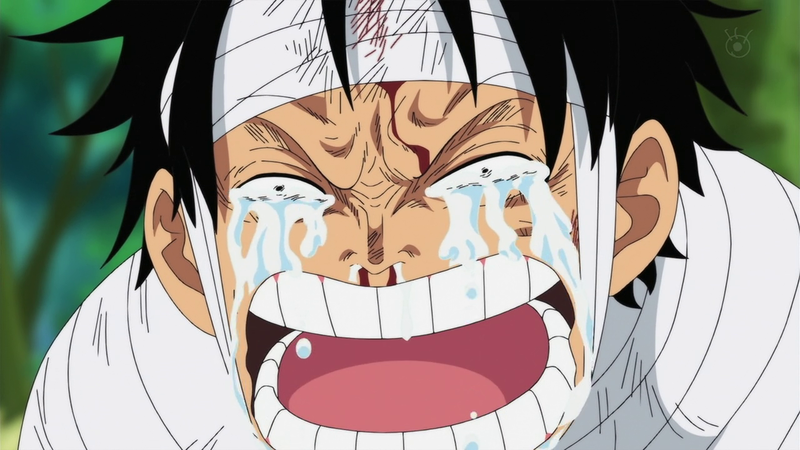 Just like Akainu being stronger than Marco and Jozu’s haki. That’s basically what I was getting at, sorry if I didn’t word it properly. 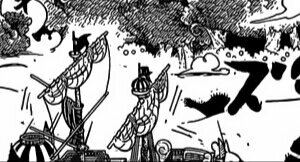 I believe this has to do with haki as well, hence why Luffy can’t hit Katakuri and why Marco and Jozu couldn’t hit Akainu. 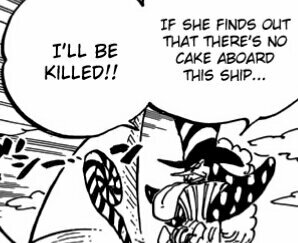 Makes a lot of sense too, otherwise anyone could shoot a bullet at Akainu and kill him! 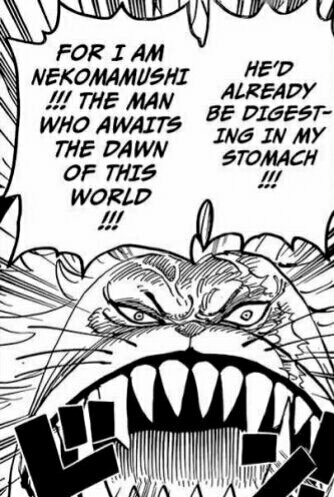 Special paramecia is just ones like Luffy and Katakuri that are made of their element instead of producing it. Id imagine Baby 5 might be classified as such too. I mean that’s just my assumption, theyre like quasi-logia hybrid Paramecias.